Hi guys and happy Tuesday! Easter is in just a few days so I wanted to share some Easter inspo with ya! 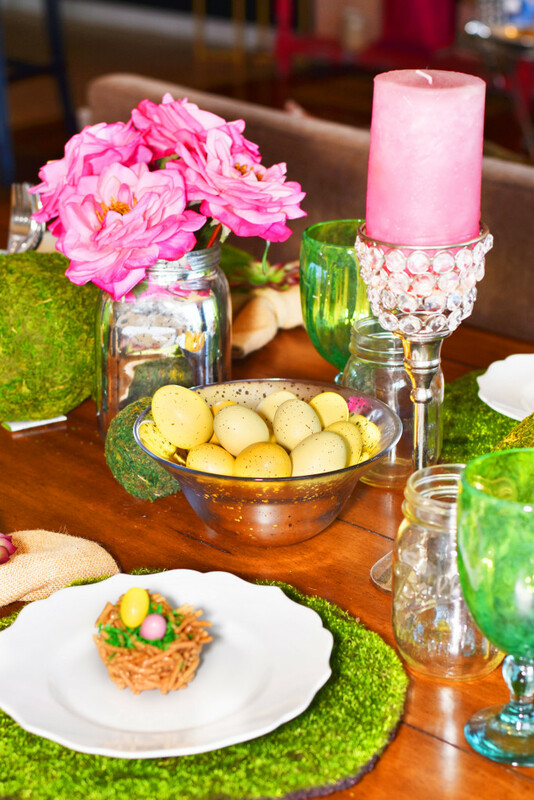 Today I am sharing this adorable and easy Easter recipe plus an Easter tablescape that is sure to wow your guests! Growing up, no matter the holiday, my mom would always come up with fun, festive recipes for her and I to make. 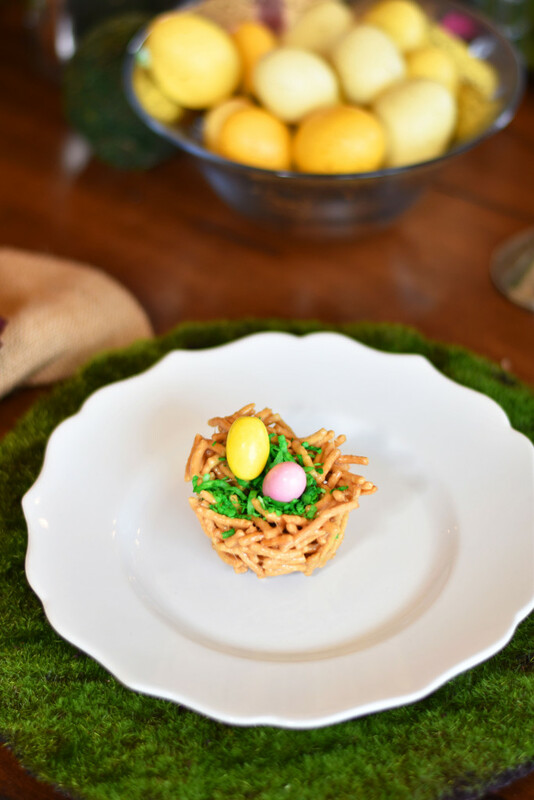 These edible Easter nests were a spring staple in our house! Not only are they yummy, they’re easy and kid friendly too! 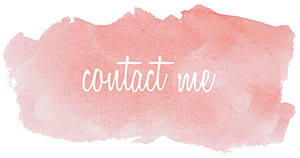 small candies, jelly beans, m & m’s, etc. Over low heat, melt the marshmallows and butter in a large saucepan. Once melted, stir in the vanilla, then the chow mein noodles. Liberally spray muffin tin with cooking spray like PAM. Using your hands, press the noodles into the muffin tins to create nests. Let cool and harden in the fridge for at least one hour. Dye coconut to create grass. 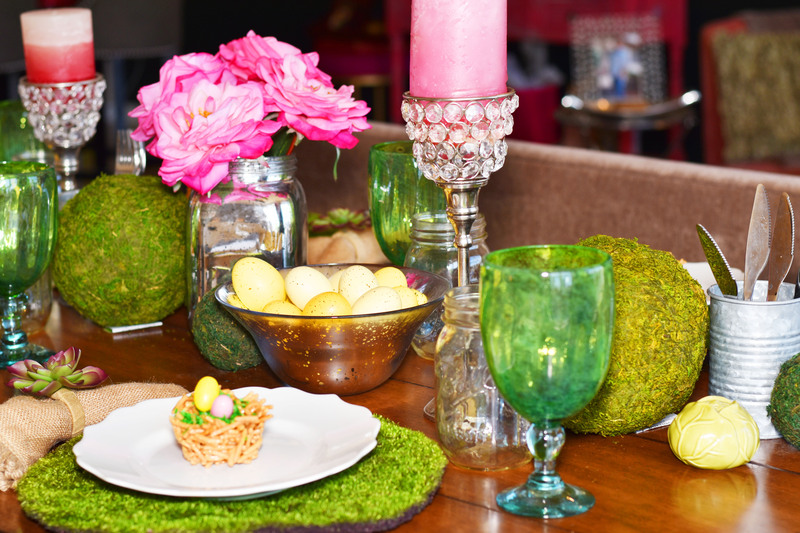 Fill the nests with the “grass” and add your favorite egg shaped candy to create the eggs. Jelly beans work great! I used egg shaped Smarties.